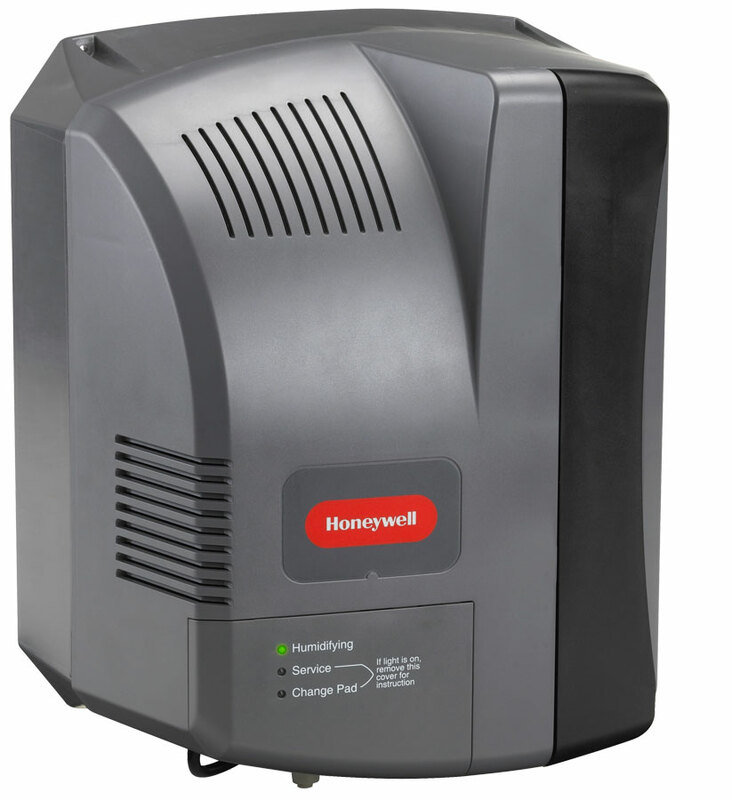 Honeywell HE300A1005 Fan-Powered TrueEASE humidifier 18-gallon per day with HumidiPRO Digital Humidity Control. Suitable for homes up to 24,000 cubic feet in size. 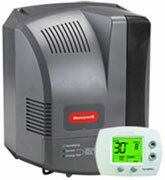 Includes automatic damper, status, maintenance, service LEDs, and advanced operation. 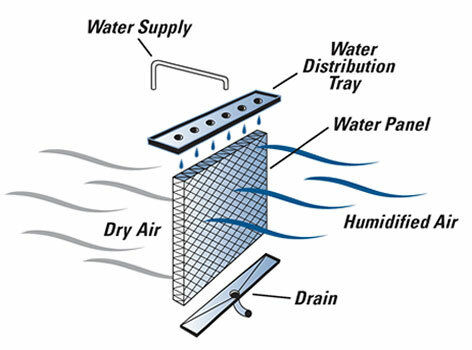 The humidifier's fan draws air through the humidifier pad in the humidifier and back into the duct for distribution throughout your home. 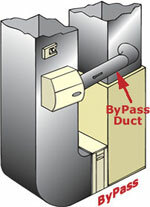 Replaces previous model HE365 with the same plenum opening; no duct modification nessesary. 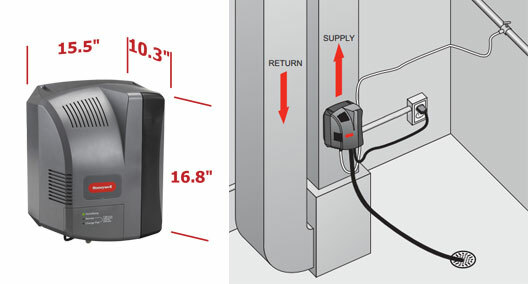 Includes Powered Humidifier, owners manual, duct mounting template, saddle valve, water supply line, drain hose and HumidiPRO Digital Humidity Control with outdoor temperature sensor. 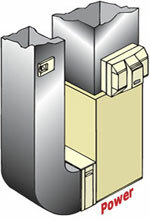 The HE300A is best mounted as shown. Check that you have enought room. The HE300A overall size 15.5" W x 16.8" H x 10.3" D.